The Glory satellite is a earth science mission, which uses the refurbished bus of the cancelled VCL satellite. It featured an instrument to measure atmospheric aerosols and a Total Irradiance Monitor to continue the mission of SORCE. Another instrument will measure the levels of man-made pollutants in the atmosphere. Aerosol Polarimetry Sensor (APS) will collect global aerosol data based on measurements of light reflected within the solar reflective spectral region of Earth's atmosphere. Since clouds can have a significant impact on the quality of these measurements, an onboard cloud camera will be used to distinguish between clear and cloud filled scenes. A three-year mission life (five-year goal) provides a minimum time period to observe seasonal and regional trends and characterize the evolution of aerosols during different climate events, such as El Niño, volcanic eruptions, etc. Total Irradiance Monitor (TIM), developed and provided by the University of Colorado's Laboratory for Atmospheric and Space Physics (LASP), will collect high accuracy, high precision measurements of total solar irradiance (TSI), or the amount of solar radiation in the Earth's atmosphere over a period of time. 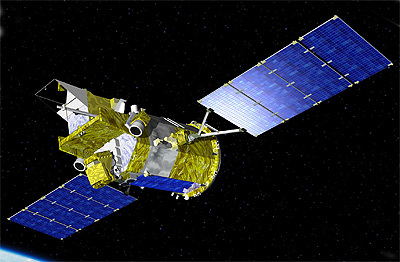 The TIM is a heritage-design instrument that was originally flown on the SORCE satellite, which was launched in January 2003.